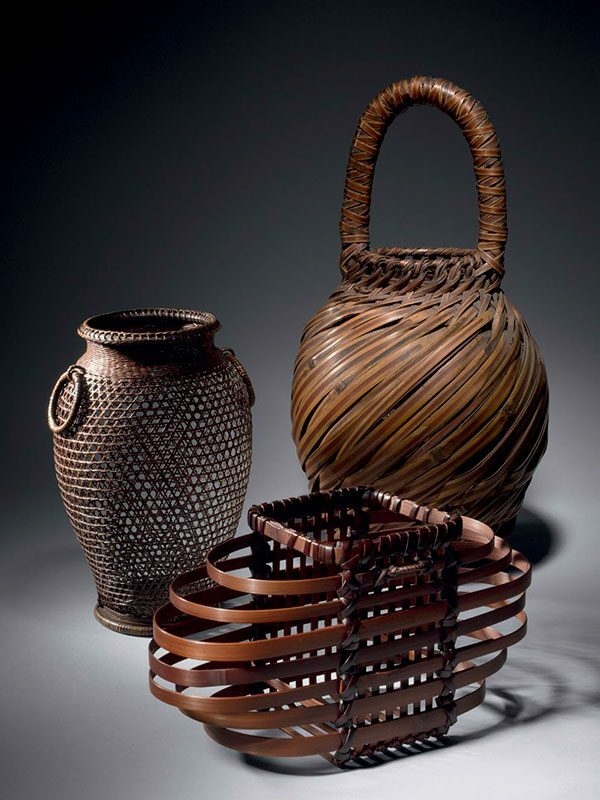 A group of four bamboo ikebana baskets of various shapes and sizes. 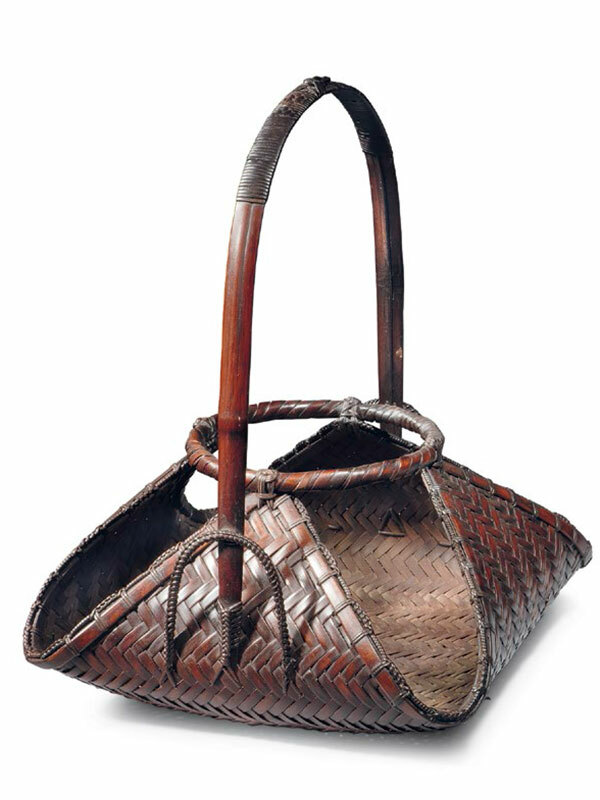 Each distinctly made basket is of robust design. Due to the sturdiness of bamboo, it is either loosely woven or tightly braided, all while maintaining its shape and quality. Ikebana, literally meaning “arranging flowers”, is a Japanese tradition of high regard that dates back to the 7th century. A disciplined art form, one’s aim is to become more patient and feel closer to nature, thus providing a relaxing and tranquil environment in one’s home.